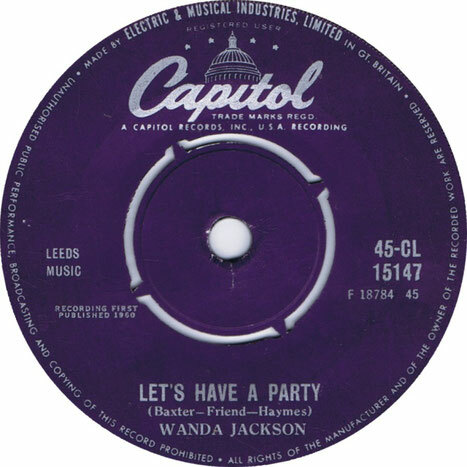 "Let's Have a Party" is a 1957 song written by Jessie Mae Robinson and recorded by Elvis Presley for the movie Loving You. 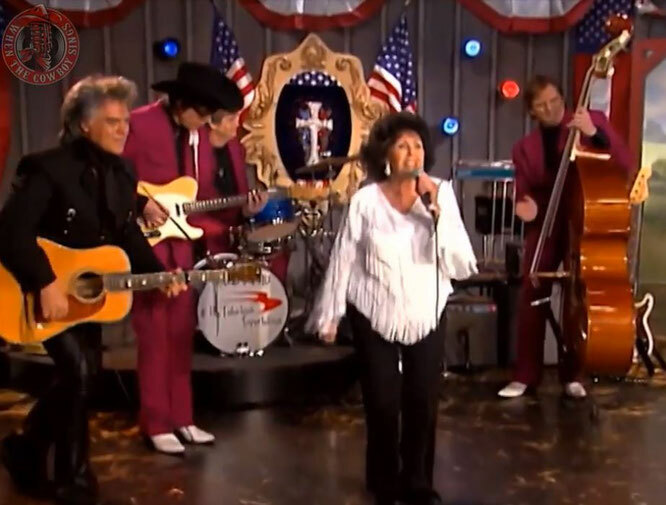 Wanda Jackson recorded the song for her first album, Wanda Jackson, released in 1958. The song was released as a single by Jackson in 1960 and entered the UK chart on 1 September of that year, spending eight weeks there and reaching #32; it also reached #37 on the Billboard Hot 100 in 1960.The Jackson version was later featured in the 1989 film Dead Poets Society. Paul McCartney also recorded and released the song (under the title "Party") on his 1999 Run Devil Run album. His original song "Run Devil Run", on the album of the same name, also has a similar melody.